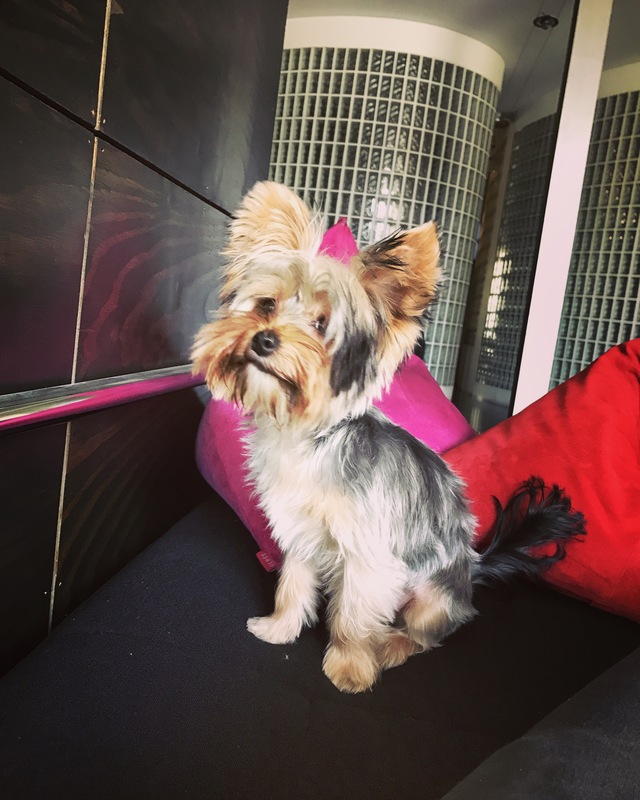 For Bella’s second grooming session, we decided to try Purplebone in Notting Hill. There was absolutely nothing wrong with The Pet Spa in South Kensington. However, their location was a bit awkward for us (3 tube changes + bus). 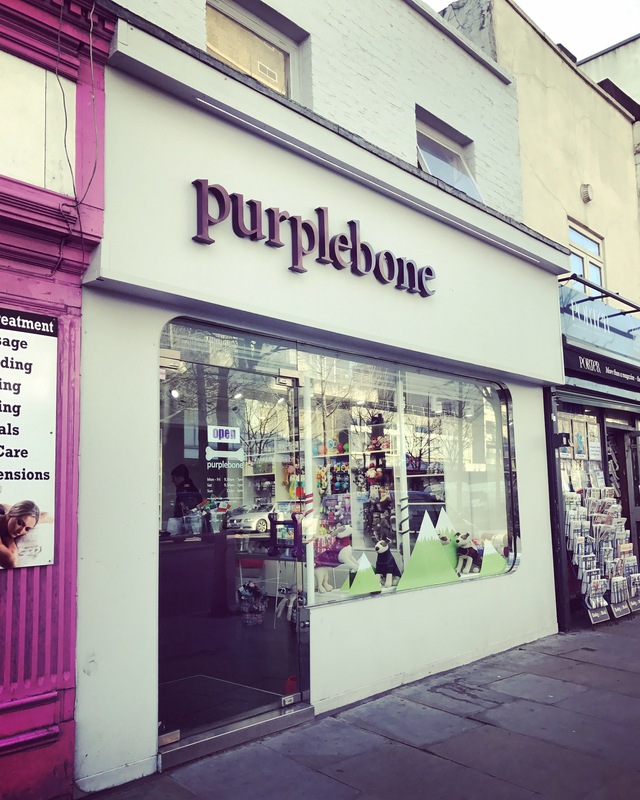 Since Purplebone was 2 minutes walk from Notting Hill Gate station, we thought it would be less of a hassle. I left Bella with her groomer, Ben. She seemed to be liking him a lot. 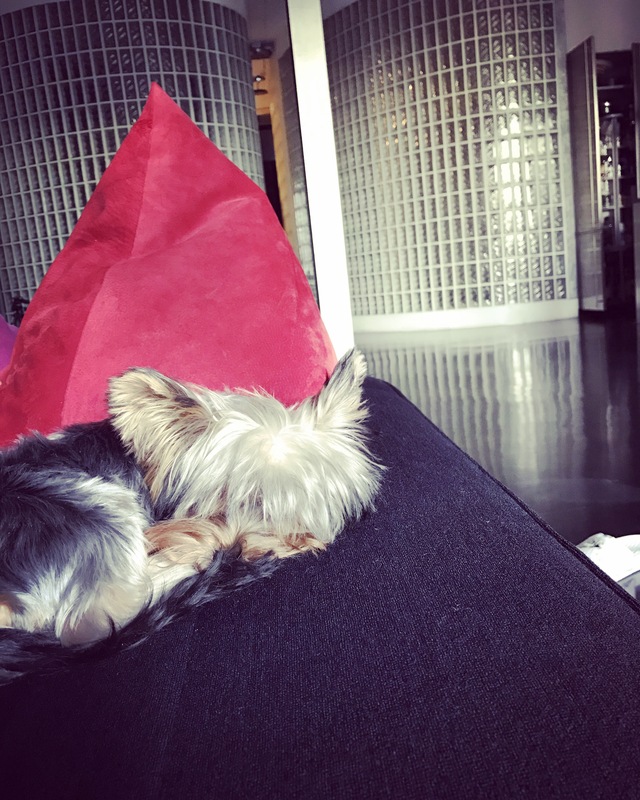 Oh Bella, I hope you will continue to like him until the end of your grooming session, I thought as I was handing over her to him. While she chilled out in his arm, I gave him a quick info regarding her recent injury, and also let him know how I wanted her to be styled. ‘Can you clean around her eyes but leave her face alone?’ I found her fringe very cute and didn’t want it to be trimmed. Ben assured me that Bella’s paws would be tidied and claws would be clipped while he would intervene in around her face minimally. ‘She will be ready in an hour’s time!’ Ben disappeared to the upstairs with Bella clutched under his elbow. 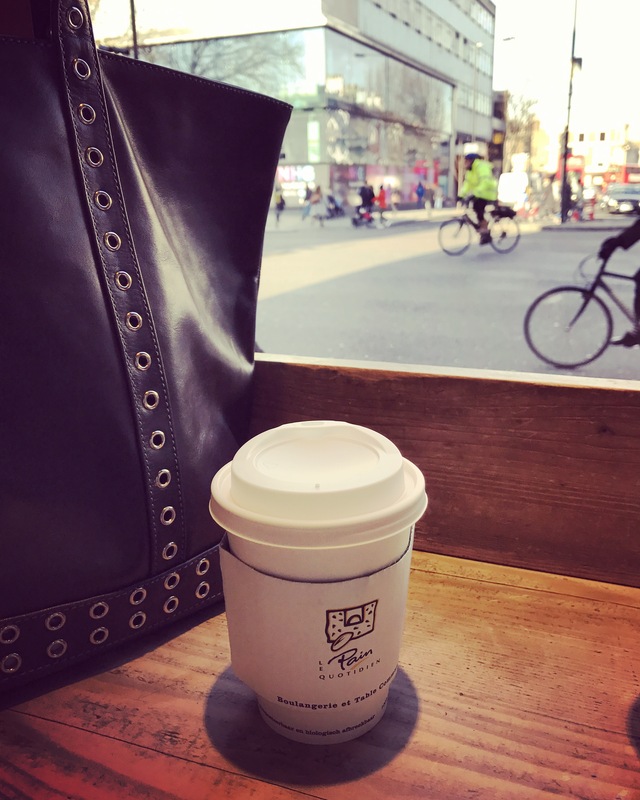 Once hitting the pavement alone, I made a quick dash to the post office on Kensington Church Street, then sat myself down at Le Pain Quotidien to write my blog post. Normally, I never consume a pain au chocolat type pastry with hot chocolate. 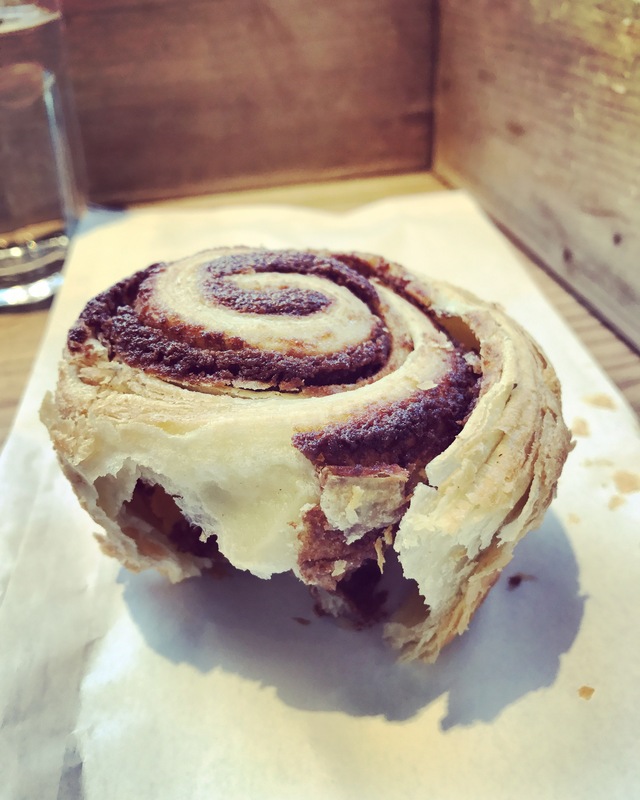 However, their hot chocolate was pleasantly less sugary and a perfect accompanyment for this bun. 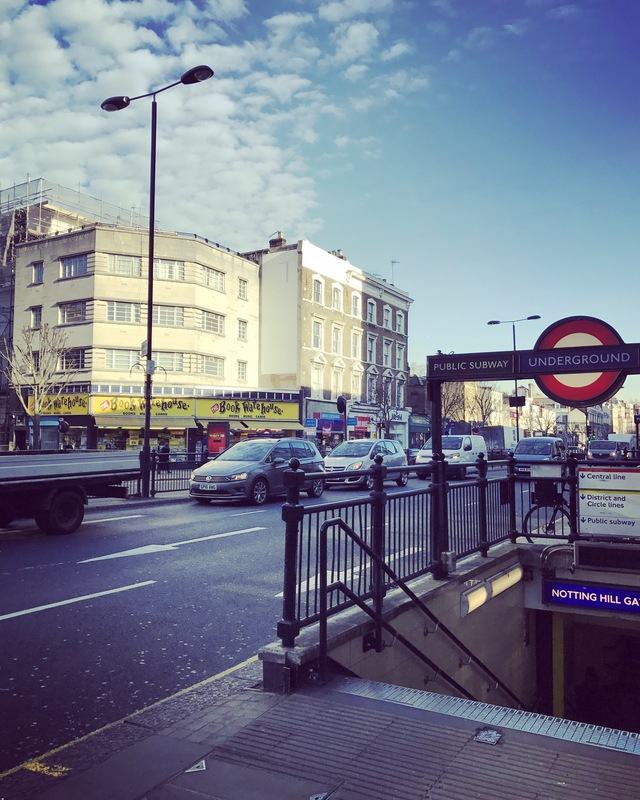 Like the rest of London, Notting Hill area had gone through lots of changes, I thought as I sipped my drink and gazed out of the window. The chain used to be pretty ubiquitous in London 20 years ago. Now, I hardly see it ever except here. However, this branch’s days in Notting Hill was numbered as I could see window signs such as “Closing Down!” and “Last Few Days!”. Even though I never paid much attention to them until today, realising yet another familiar name was to disappear from London’s high streets made me sad and nostalgic. Then, my phone rang and it was from Purplebone. ‘Bella will be ready for collection in 10 minutes’ time!’, Charlie at the shop was letting me know the progress. Ben did an awesome job. Bella smelt divine and looked shiny and fluffy. I loved it. So, did you get on with Ben then?